Players that wish to train with Tim Driscoll and the team at Driscoll Skating & Skills, they will be coaching at the Boch Ice Center (Dedham) in the Spring on Thursday evenings beginning Thursday, April 18 and at Chase Arena (Natick) on Friday evenings beginning April 19. Driscoll Skating & Skills Spring programs are ten 80-minute sessions and are limited to 30 skaters with 5 coaches on the ice. Mites, Squirts, U8 and U10 from 5-6:20 p.m. and Pee Wees and U12+ from 6:30-7:50 p.m. The ten-week Power Skating program teaches Inside Edge; Outside Edge; Single Leg Edge Work; Crossovers; Long Stride; Open Hip; Backwards Skating and Defensive Skating. Each session is generally 50-60 minutes of Power Skating and Edge Work and 20-30 minutes of Stickhandling and Passing with Movement. We wanted to forward along a link to our new team shop with ISlide, the leader in customized athletic sandals. ISlides are a great gift for your hockey player. ISlide is based in Boston and currently works with thousands of teams throughout the country including most MLB, NBA, NFL and NHL teams. As you may know, the owner, Justin Kittredge, actually lives right here in Medfield and Justin and his wife are big supporters of Medfield schools and youth sports. 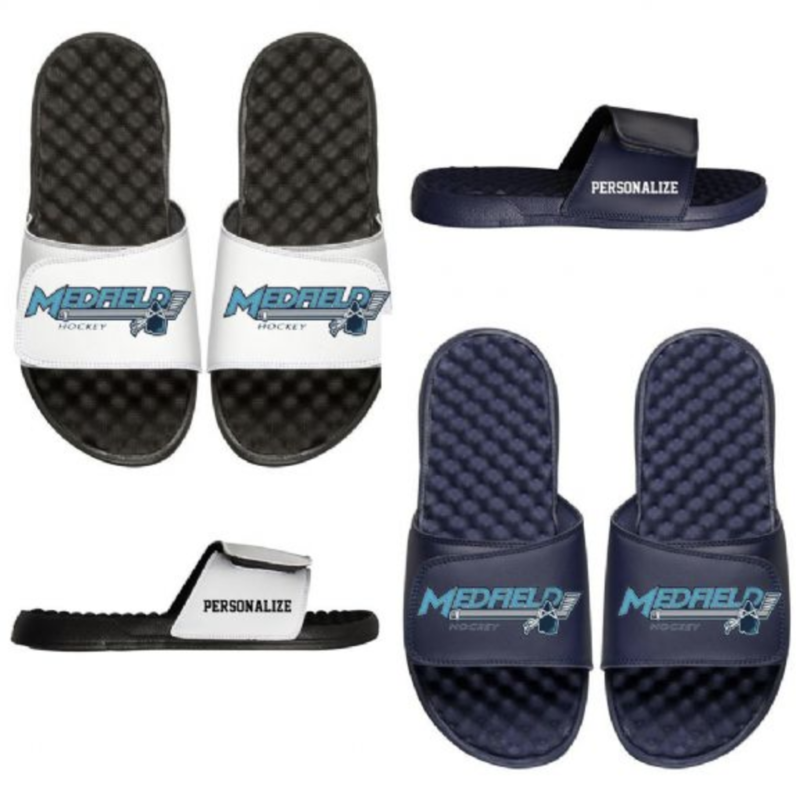 Our ISlides will come with our customized Medfield Youth Hockey logo and you'll be allowed to personalize with name and or number. AND, $10 of every pair bought will go back to our program - Medfield Youth Hockey. The MYH Store is now open and all orders must be placed by April 15th, 2019 at midnight. Orders will then be shipped to you a week after the store closes. If you have any questions please reach out to JoJo, our contact at ISlide, at . 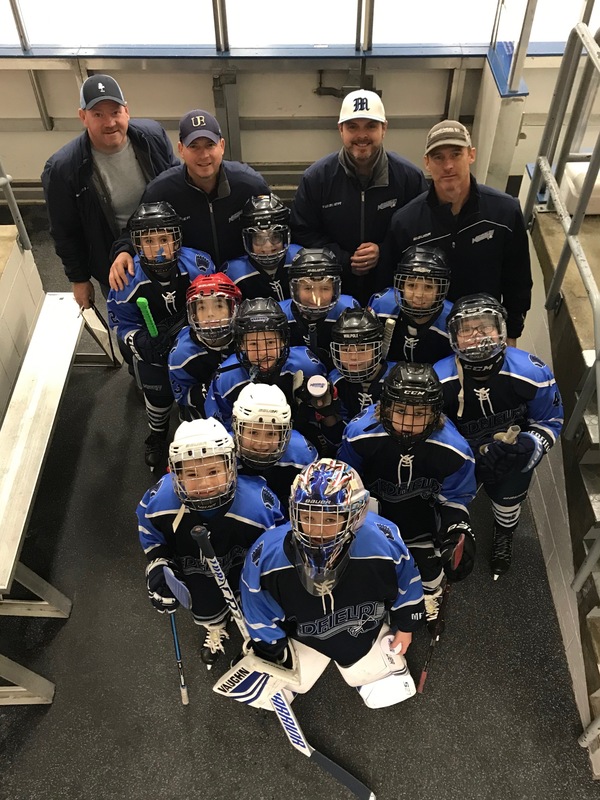 Registration for the 2019/2020 Medfield Youth Hockey season is now open. Tuition is $1700. 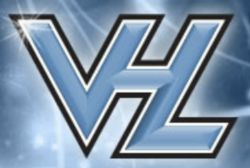 No tryouts for those that will be playing Cross Ice (Mite House) next year and registration by May 5th is not required for those players (2019/2010 season Cross Ice (Mite House) players). More details regarding tryouts to come. To register, please go to medfieldyouthhockey.org and select the "Register Now" button on the right. The Medfield Squirt A's invaded Lake Placid over the weekend. And, while the results didn't go the way they wanted, the boys had a blast and played some great hockey. MYH will be partnering with the Norfolk Arena to offer kids age 5 and over for the Learn to Skate clinics. The clinics will be offered at the Norfolk Rink with multiple options for days of the week and time slots. The Norfolk Arena runs a very solid Learn to Skate program with excellent coaching and has over 400 kids enrolled from area towns across several different levels. The Learn to Skate program will teach our younger and less experienced kids the foundations of skating - which is a must in order to play hockey at the older ages. Kids will then transition into the Medfield Youth Hockey program In-House or Mite Travel Hockey programs in future years. Please visit Norfolk Arena at www.norfolkarena.com to register your child if interested. The website has all of the various programs / dates / times / costs as well as other important information for parents and kids. The sessions begin in late October/early Nov, early January and early March. We look forward to a strong partnership with Norfolk Arena as we begin to develop the next level of great skaters for MYH.